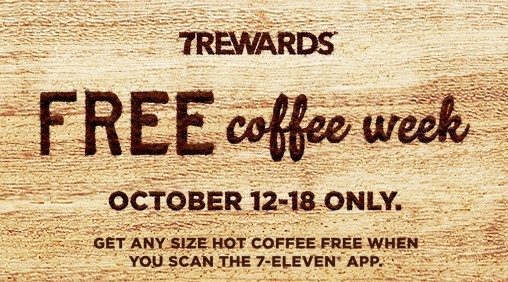 FREE Coffee At 7-11 All Week! You are here: Home / FREEbies / FREE Coffee At 7-11 All Week! If you haven’t already, download the 7-11 app! They have great offers all the time like this one. This week, all week you can get FREE coffee at 7-11 through their app! One FREE coffee per customer, per day. Not valid on iced coffee. Valid at participating stores.